I love being a student here; I want to study here forever. I chose to come to Brackenhurst to study this course because I wanted to gain more knowledge and experience with different animals. With the Level 2 Diploma Animal Care course that I am studying, we are taught the basic care of different animals, ranging from small domestics to large farm livestock. The modules I enjoy the most are animal health and welfare because I get to learn a lot about different animals and how different animals need to be looked after. I would really recommend this course because you get to learn a lot about large farm stock animals and small domestics. The animal unit technicians and tutors make the course really enjoyable. My course tutors are really polite and make you feel welcome. They all teach to a high level, which resulted in me getting a distinction at the end of the year! 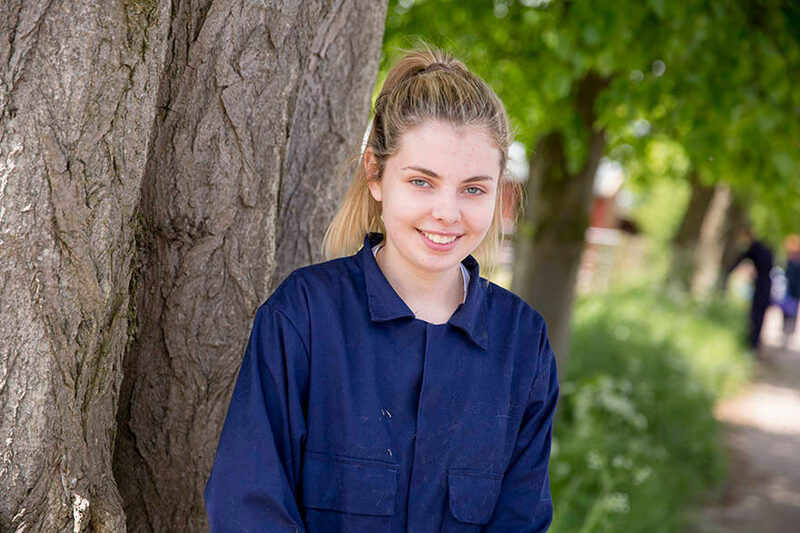 I did a placement at Trent Valley Equestrian Centre and it helped me to gain more knowledge with horses as I particularly want to work with horses. It didn’t take me long to settle in at all. I have made a lot of friends on my course, which makes it more enjoyable. The tutors gave me a really warm welcome too. I chose Brackenhurst because I want to work with horses and develop on my experiences with the horses here. It is also a really good place to study and there is a 99% pass rate on all further education courses.